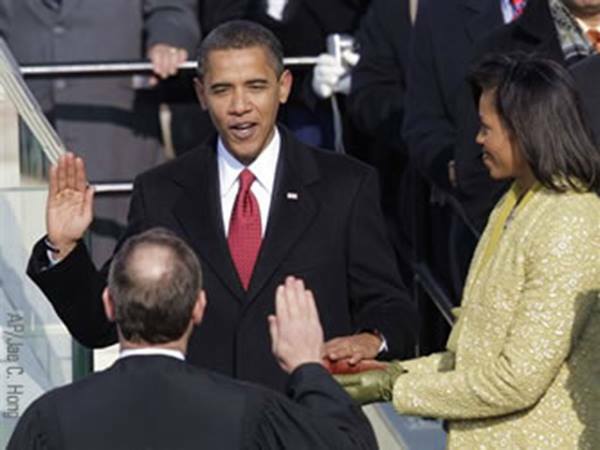 Yesterday we inaugurated the first Black American as President of the United States. Considering that 60 years ago Obama would have to drink out of a different water fountain than me, I find this historic event inspiring and it gives me hope for the future of America. Regardless of your political beliefs, President Obama’s inauguration speech calling for a new era of change was an eye opener. While I’m far from the world’s biggest Obama supporter (I’m a Ron Paul supporter), I found much of the President’s speech exciting and motivating at this particular juncture in our history. As Americans we have one foot in the industrial age and one in the information age and neither foot knows what the other is doing! It seems at times that America is confused about what must be done moving forward. While I agree that we are in a crisis, I believe that we have been in a financial crisis for a long time. The crisis I’m blogging about is the personal retirement crisis. Our parents and grandparents have prepared us for the world with tools that are no longer useful and practical. Without over simplifying the issue, we were raised to go to college and get a good job with benefits. While it is obvious to most now that a college education and a job just won’t cut it, we are still confused as a nation and people. The time of the defined benefit plan and employer sponsored retirement is OVER. The writing was on the wall in 1963 when the Studebaker automobile company terminated its employee pension program. Since then ERISA was passed in 1974 to enforce and regulate to some degree employee pension programs. As Americans we have seen this fail as well with ENRON, Adelphia Communications, World Com, TYCO, and Quest to mention just a few! The loss to defined benefit and defined contributions plans, YOUR RETIREMENT, was in the BILLIONS! Of course that pales in comparison to the Trillions lost in the recent mortgage crisis. This was real money from your retirement funds. Now is the time to remake your retirement plan and take control over your future. While the switch from having someone else manage your retirement to you managing it can be a challenge, it is not as difficult as you think. If you don’t already have one, you need to start or convert your retirement into a Self Directed Roth IRA. I recommend Equity Trust Company because of their customer service and how easy they make every transaction for the new and seasoned investor. With a Self Directed Roth IRA you can invest your money in anything you want and all of your future gains and profit are tax free! This does mean that you will have to analyze that stock, real estate deal, IPO offering, bonds, businesses, CDS and other investment opportunities but isn’t that the entire point? The evidence has shown that when your retirement is left up to the government or corporations, you lose. What it means to be a Renegade Detroit Investor is personal responsibility for our investments and an aversion to mainstream thoughts and antiquated advice from so called financial advisers. This is the Renegade Detroit Investors battle cry! You can whine and complain all you want but that is like trying to swim upstream. You cannot fight the change. The change is already here… and what are you going to do about it? Are you going to lie down and let corporate America swindle your retirement or submit to bigger government taxes in the allusion that social security will cover your needs? You have a responsibility to yourself, your country, and ultimately to your children and grandchildren to embrace the change and prepare future generations to be financially independent of government and corporations. I remember Obama’s inauguration speech, he was the last politician I trusted. Well, Dr Paul had promise as well. My transformation from needing a “great man” to trying to become my own great man was started here and I’m glad my cynical view lead me away from these filthy politicians.